While I am thrilled that reports of the death of the picture book were greatly exaggerated, I have been wondering of late if there will ever be room for another William Steig or Bill Peet in this world? 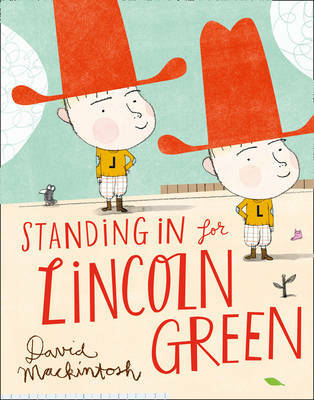 Is there space on the shelf of the bookstores for this kind of book, a publisher willing to go with a picture book that does not feature a "character" sure to spawn a series and, above all else, an author and illustrator who can tell an intelligent story with words and pictures in 32 pages that does not talk down to readers but instead lifts them to a higher level of thinking? I hope so. 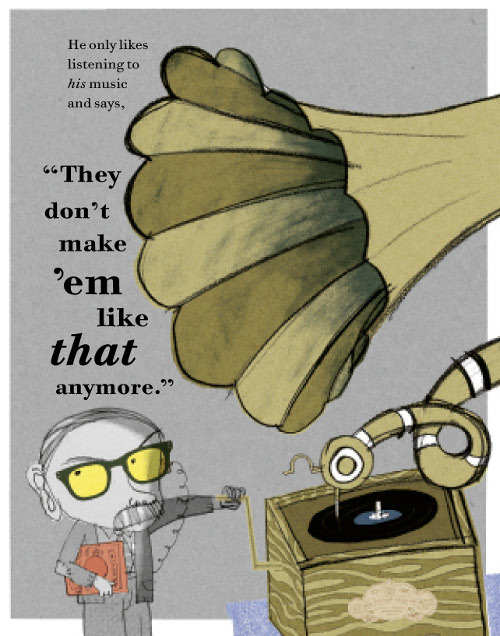 And, I think that David Mackintosh's newest book, The Frank Show, comes very close. One thing that William Steig, especially, was not afraid to put in his picture books were adults. Have you noticed how there are very few adults in kid's books anymore? And if they are there, actually on the page and interacting with the children in the story, they are a source of comfort and a boundary. In fact, when I did an informal survey of picture books on the shelf at the store where I work, out of almost 400 titles, less than 50 had adults in supporting roles. We are a huge part of kids' lives! 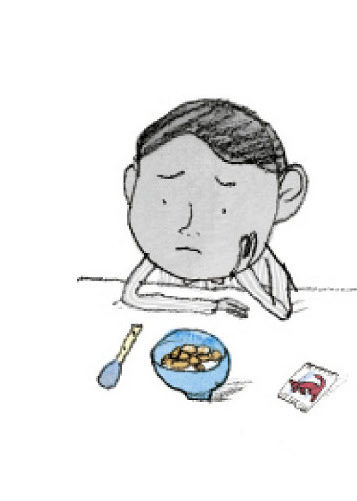 Let's get more adults back in picture books! 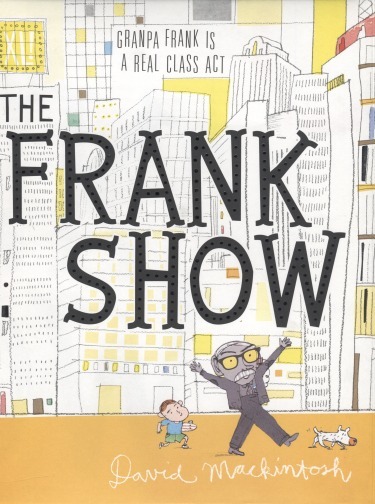 The Frank Show is all about an adult! A crotchety, opinionated one at that! As the narrator says of him, "My grandpa doesn't always like the way things are. And he always does things his way." When the teacher asks everyone in the class to talk about a family member for show-and-tell on friday, our narrator thinks of his mother first. She is too busy, though, and sends him to his father. Dad suggests talking about his baby sister Minnie, but that's a non-starter. 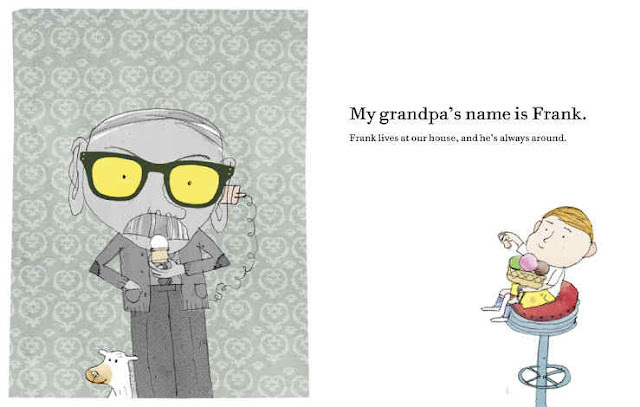 The only person left is Frank, but "Frank is just grandpa." Although our narrator doesn't think there's too much to share about Frank with his class, he does know a lot about this guy and takes the reader through a laundry list of Frank's likes and dislikes, which he makes very clear. Frank "likes doing things the old-fashioned way." He doesn't like fancy food (the illustration here shows Frank reaching into a jar of pickled onions for a snack.) He only needs a haircut once a year and "he only likes listening to his music." As our narrator learns more about the people his classmates are planning on talking about (Kristian's dad is a comedian on TV, Fay's cousin tells you if your bag is too heavy at the airport, Donny's dad works in a potato chip factory) we see a fantastic illustration of the kids on the schoolyard. 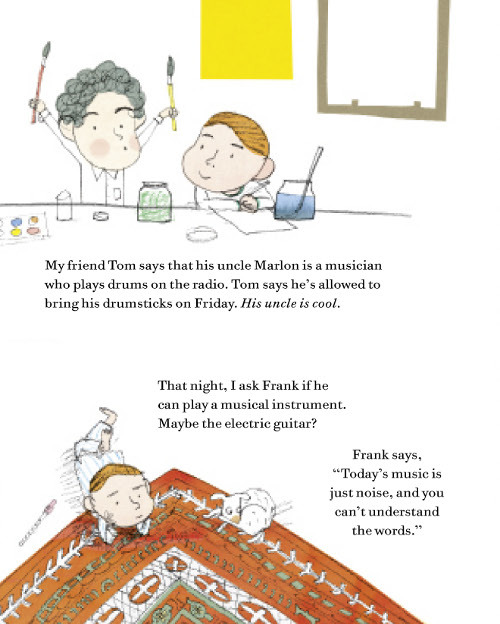 Although his best friend's questioning of Frank as a choice for show-and-tell stirs up a burst of pride and conviction in the narrator, he is still quite nervous on the big day. After giving his brief speech, Frank steps in and regales the class with stories of his time in the war, giving his last drop of water to a thirsty horse ad getting green tattoos with his soldier buddies to remember the big battle. Frank stays for lunch with the class and keeps them entranced. Don't miss David Mackintosh's previous picture book, Marshall Armstrong is New to Our School and his new book, due out soon, Standing in for Lincoln Green.